Hi! My name is Alyssa. Lifelong foodie. ACE Certified Group Fitness Instructor. Meditation enthusiast. Avid traveler. Smoothie fanatic. Lover of all things pink and sparkly. I’m the blogger behind Flaxseeds & Fairytales (F&F), a health and wellness blog. My goal is to help you find your very own happily ever after through a balanced approach to health and wellness. I believe that everyone’s “health fairytale” is unique, so I encourage readers to pick their own path using the posts on this blog as a guide. My health philosophy is that small, consistent changes create the most effective and long-lasting improvements. Together, we’ll make all your health and happiness dreams come true! I started Flaxseeds & Fairytales in February 2018 after over two years of struggling with chronic pain and illness. Losing my health and vitality for a period of time made me realize how important it is to embrace a healthy lifestyle. My passion is helping others discover optimal health through a combination of healthy eating, fitness, meditation, travel, general wellness, and more! Before I started F&F, I had a food blog called “A Bite of Inspiration”. The concept behind the blog was recipes inspired by travel, entertainment, lifestyle, and celebration. Each recipe had the tagline “A Bite Inspired by…” (i.e. A Bite Inspired by “Finding Dory”, A Bite Inspired by Thanksgiving, A Bite Inspired by Philadelphia). Some of my most popular recipes on F&F were originally published on A Bite of Inspiration. This includes my recipe for Vegan Thai Curry Mac and Cheese, a reader favorite that was featured in The Huffington Post Taste. I enjoyed my first blog, but my ultimate goal is to help my readers experience improved health and vitality. F&F is my perfect fairytale blog for doing just that! Before I became a group fitness instructor, my jobs in the policy field mainly involved research and analysis. It was my job to make sure the company I was working for was getting the appropriate facts. As a blogger, I feel the same responsibility of providing my readers with helpful and relevant information. Let’s face it. This is the internet. There are WAY too many websites out there that provide false, misleading, or just plain useless information. In addition to writing from personal and hands-on experience, I also make every effort to ensure that my posts are well-researched (where applicable and to the best of my ability– see disclaimer here), but still written in plain English. If research was done for a post, you will see a list of the sources I consulted at the bottom of the page. I want to provide you with the absolute best health information I possibly can, presented in a fun-to-read and easy-to-understand way. I believe this sets me apart from many other health and fitness websites. I love trying new things and believe that the best teacher is hands-on experience! I love sharing these experiences with you and hope that it will inspire you to try new things as well. The health and fitness world is constantly evolving and there’s always interesting, new things to try! Nearly every post on this blog is based on my hands-on experience. This blog is not made by sitting behind a desk– it’s a culmination of my real-life experience. I make a commitment to try new things and share them with you as often as I can! From my first experience with reiki to my first time trying a new fitness class, you’ll hear about it first-hand on F&F! I start (almost) every single day with a smoothie. I absolutely love them because they’re easy to digest, have tons of nutrients, keep my sugar cravings at bay, and give me a boost of energy. Oh, and they’re SO FREAKING delicious! I love getting creative with my smoothies, which means a consistent stream of new smoothie recipes on the blog regularly. I promise, whenever I discover a new smoothie I love, I’m going to share it with you. 🙂 Check out my favorite smoothie here. When I was a kid, my “fun fact” that I always shared during ice breakers is that I’m trilingual. That’s a fancy way of saying that I speak 3 languages fluently: English, French, and Mandarin. Although, my language skills have waned quite a bit since I was a kid, I still find them helpful when I travel. I’m also trying to learn Spanish (emphasis on TRYING). When I was struggling with chronic pain and illness, I discovered that one of the main culprits behind my condition was a severe, undetected gluten allergy. Not only was I shown to be highly allergic to gluten in several tests, I also tested positive for 4 copies of Celiac Disease genes (2 copies from my mom and 2 copies from my dad). In short, this means that although I don’t technically have Celiac Disease YET, I have a much larger chance of developing it compared to the average person. Due to the allergy described above, I have to follow a 100 % strict gluten-free diet in order to maintain my health. This means that all the recipes on F&F are gluten-free. I know first-hand how difficult it is to adapt your diet to a food intolerance, so I strive to provide support for those on special diets through different features throughout the blog. In order to make it easy for those on special diets, if a recipe is vegan, vegetarian, dairy-free, egg-free, nut-free, Paleo, or Whole30, it will say so on the recipe card under “Cuisine”. You can also search for recipes that fall under these diets in the search bar or recipe index. 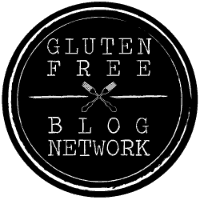 That being said, I don’t consider F&F to be a “gluten-free” or “allergy friendly” blog, but rather a general “health and wellness” blog that appeals to anyone, regardless of whether they follow a special diet or not. I consider the recipes on this blog to be “healthy”, “nutritious”, and “real food” rather than simply gluten free or allergy friendly. I’ve done a ton of traveling throughout my life and my favorite place to visit is still Disney World. Some of my fondest childhood AND adult memories were made with my Minnie Mouse ears on. To me, it really is the happiest place on earth. With a blog called Flaxseeds & Fairytales, is it really a surprise that I’m obsessed with Cinderella’s Castle? In my free time, I love singing, reading books, enjoying meals out with my besties, and exploring new places. Oh, and my guilty pleasure? Online shopping! Thank you so SO much for stopping by! It means so much to me that you’re here. If you have any more questions for me (i.e. what’s your favorite color? do you have a pet? what’s your favorite dance move? these are all valid questions), feel free to reach out via my contact page, follow me on social media, or comment on a post. Let’s be friends! Your healthy, happily ever after starts right here! New to the blog? I’m so happy you’re here! Check out the Start Here page to learn more about F&F and all the amazing resources you’ll find here! Looking for more? I highly encourage all my readers to visit the About the Blog page to learn about the blog name, my vision for the blog, and get an in-depth look at all the categories on this site! Visiting this page will help you better navigate the site and gain a better understanding of what this blog can do for you. To find out more about my personal health journey, check out My Health Fairytale! Thanks again for stopping by! Below are my current health and fitness education credentials. This list will grow as I complete continuing education classes and specialty certificates. I understand that as a blogger, I have a certain level of influence on your health, lifestyle, food, and fitness choices. I want you to know that I take this responsibility seriously and am constantly working to better myself for your benefit! I am committed to expanding my knowledge, so I can keep providing you with the most up-to-date and relevant information for your health journey. Thank you for your trust and support! Interested in becoming a certified Group Fitness Instructor or Personal Trainer? Check out the American Council on Exercise website for more information on the awesome programs they offer! You can also check out my post How to Become a Group Fitness Instructor in 3 Easy Steps.